Update 1/2016: Added reference to new lossy compression feature. 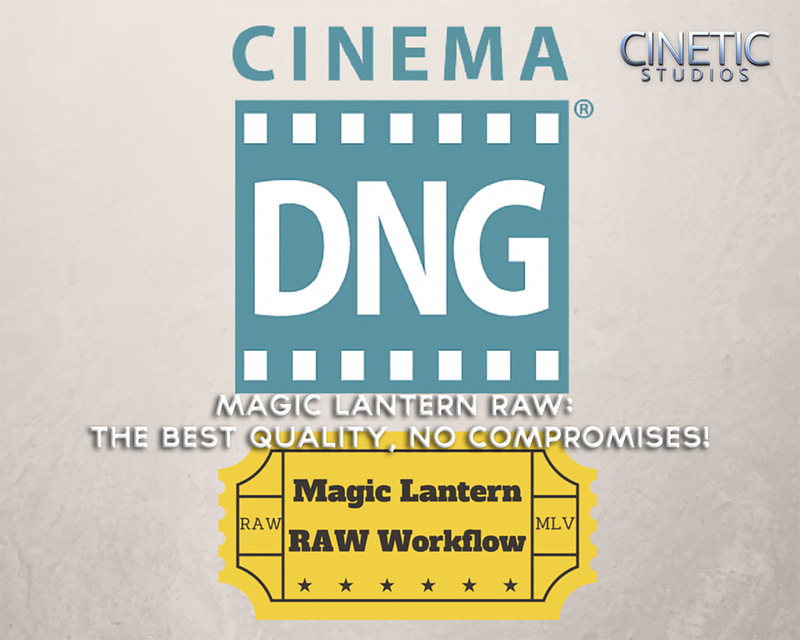 Most people who know me or follow my blog know I'm a huge fan of the Magic Lantern Raw 'hack' and Blackmagic cameras, not only due to their great price-to-performance ratio but also because they can use the great CinemaDNG format to capture raw video. 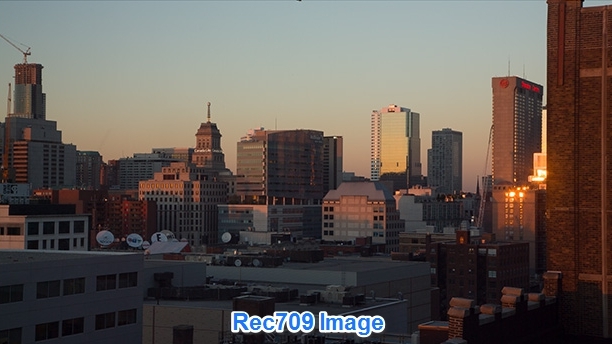 No other cameras in that price range ($500-$4000) can capture such high quality imagery at up to resolutions of 4.6K. However, to handle this amazing image quality, all Blackmagic and ML Raw cameras record to a the data-intensive CinemaDNG format. At 2.5K resolution, a single frame of CinemaDNG video (1/24th of a second) can run up to 5MB in size, or ~7GB a minute. This massive data rate can eat up your storage space fairly quickly, especially when you have multiple back-ups for your footage. What is slimRaw and how does this help our situation? SlimRaw is a post production application, available for both Windows and Mac OS X, that allows you to recompress CinemaDNG files to save space & improve playback performance. The software also offers some very useful DIT functionality which allows you to securely verify & duplicate to another drive (for backup or archive). 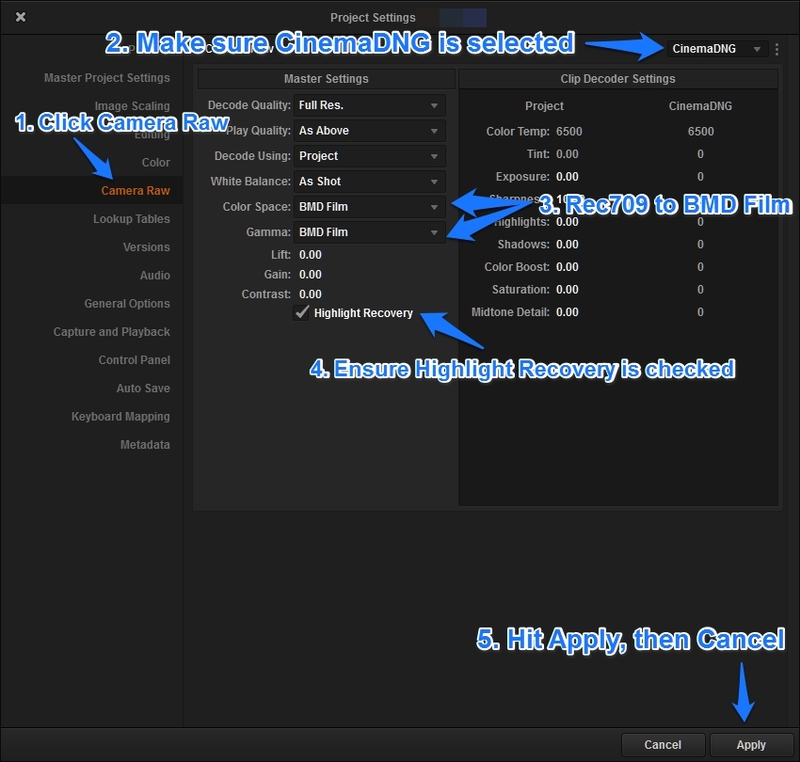 Already recorded footage as 'compressed' CinemaDNG, as is default using the latest firmwares on most Blackmagic Cameras? No problem! It can still re-compress those CDNG sequences to save space using either a "virtually lossless" or lossy algorithm, with options such as 3:1 or 4:1 compression ratios. Working with Magic Lantern Raw DNG files, you're looking at a whopping ~20% compression improvement after being run through slimRaw with "Maximum Compression" enabled. According to the developer, the application is compatible with, "Most 8, 12, 14 or 16-bit standard uncompressed and compressed CinemaDNG or DNG footage" with a long list of cameras & external recorders listed as compatible. I found these statements to be a bit...well, crazy, so I decided to see how accurate the claims really were through some real world testing. I had several shoots from my Blackmagic Cinema Camera that were shot in uncompressed CinemaDNG, so I figured they'd be a great test. You can see I performed two separate batches for two separate shoots, recorded using different firmwares. As you can see in the screenshots, both were reduced over 60% in file size without any true quality loss. The significant filesize reduction is likely to provide a significantly more "pleasant" editing & color grading experience, no matter the application being used. While the massive improvement is partially due to my test files being uncompressed, SlimRaw is still able to re-compress "compressed CinemaDNG" files to save additional space, up to ~5 to 7% without quality loss (or more if you don't mind losing a bit of quality using the new lossy option). While this size savings may seem insignificant, this DOES add up quickly over time. A quick look at the above screenshot shows some of the options available within the application. Most features are self explanatory but "Premiere Pro CC compatibility" mode is an interesting one. Premiere Pro Compatibility allows you to sacrifice a bit of compression to maintain compatibility with Adobe Premiere Pro and Speedgrade, should you want to natively edit and color your CinemaDNG files in those applications. Another important features to mention is the generate checksum and verification pass, which can be used to test the file integrity of the newly created CinemaDNG files as they are being created. One feature not shown is the ability to provide two destinations for the final processed files, essentially encouraging you to back-up as you re-compress your footage. I've tested the beta and this is a seamless additional feature that adds yet another feature to this extremely useful applications, similar to Red Giant's Offload or Imagine Product's ShotPut Pro. Both the checksum verification and multi-destination output features would be incredibly useful in a DIT environment. While this utility may seem like it has a very niche purpose and might not seem useful for many on the surface, if you regularly work with Blackmagic, Magic Lantern Raw, Digital Bolex or any camera that produces CinemaDNG sequences, this applications is worth its weight in gold. At $39.99, SlimRaw is a bargain considering it can re-compress almost any CinemaDNG file, works on Mac & Windows, and has a development team dedicated to expanding the applications functionality based on customer feedback. I highly recommend you check out this application at slimraw.com and at least give the trial a shot, if this process seem curious to you. You won't be disappointed. Note: I was provided with a license for the purposes of this review / overview. I am not affiliated or associated with slimRaw or its developers in anyway, and the opinions provided above are completely my own.